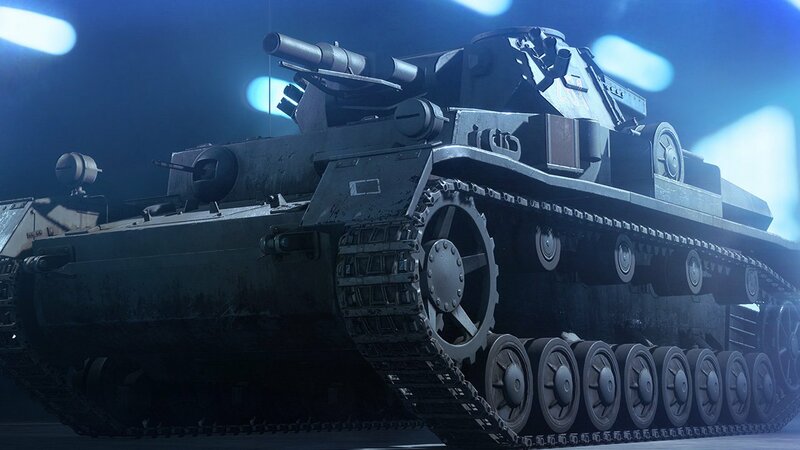 Make Company Coins, an in-game currency, fast in Battlefield 5, allowing you to customize your soldier, weapons, and experience. The in-game currency in Battlefield 5 is called Company Coins. This is what players will use to customize their characters, weapons, and overall experience, both with cosmetic items and by unlocking something called Specializations. As one might expect, however, earning this currency can be slow going depending on the skill level of the player and the item they wish to purchase, so below is a guide to the different ways to earn Company Coins so that hopefully they can be accumulated fast. The first thing to understand about Company Coins is that they are generally earned just by playing the game, and the better someone plays, they more they can make in a short period of time. While there is no way to cut corners when earning Company Coins, understanding what tasks reward them can improve the rate at which they’re earned. Focus on the three ways one can make Company Coins listed below and that rate at which they're earned should improve, but ignore these methods and it could be a slow process. The most organic way to make Company Coins quickly is to rank up in-game. This is done by earning XP while playing. XP can be earned by getting kills, assists, reviving teammates, resupplying teammates, completing objectives, winning matches, and much more. In the early going, it appears that each time a player ranks up they earn 500 Company Coins, which isn’t terrible considering every action taken is a step towards this goal. 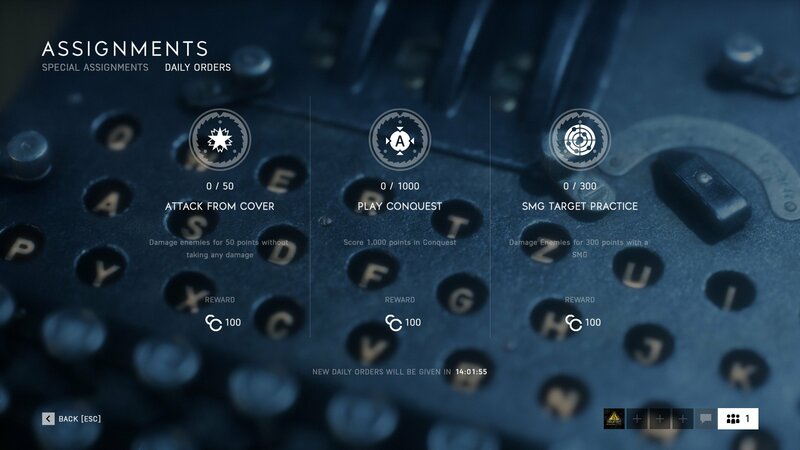 From the main menu, click on Assignments and then Daily Orders. This will show players three tasks that will refresh every 24 hours. Completing these tasks earns the listed amount of Company Coins, which will typically fall between 50 and 100 per task. These tasks are remarkably simple, so nobody should struggle to earn a few extra Company Coins by taking note of their Daily Orders and making a point to complete them. 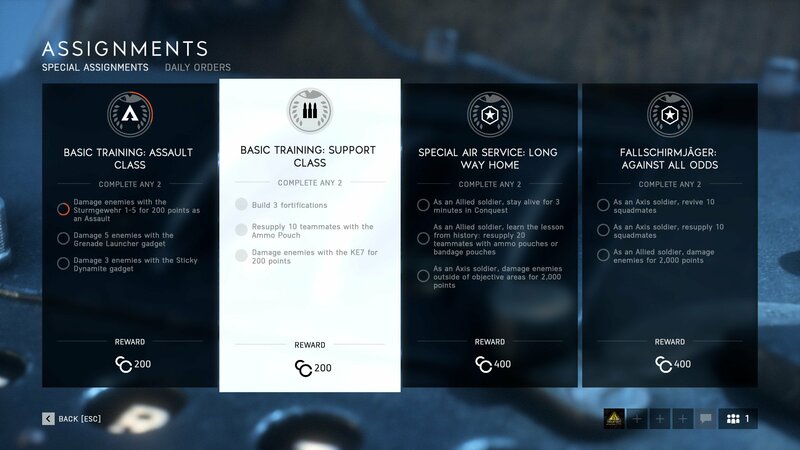 Special Assignments are also found under the Assignments menu in the game. Players have four slots for Special Assignments but must browse a list of available tasks and select the ones they wish to focus on. These are generally move involved than Daily Orders, but they also tend to reward players with a higher amount of Company Coins for completion. In Fact, players can earn thousands of Company Coins by being on top of their Special Assignments and focusing on finishing them. Overall, if the goal is to purchase a new soldier, something that could require well over 10,000 Company Coins, it might be a bit of a slog. However, there are several ways players can make Company Coins fast if they pay attention focus on the tasks that specifically reward them. Be sure to check out Battlefield 5 on Shacknews for more guides and news about everyone’s favorite large-scale FPS.